Looking For an Agent: What to Focus On - M.W. When you first start looking for a literary agent, any one of them sounds exciting. And how could they not? They could potentially be the person who makes your dream come true, apart from yourself. You have options, though, so how do you know what to focus on when looking for an agent? Assuming your work is the best that it can be, potentially with the help of an editor (highly recommended before querying), there’s nothing wrong with treating your novel like it’s precious. When starting the query process it may feel scary, but in reality, they should be lucky to get to represent you. And that is how you should look at it when finding literary agents to sub to. Firstly, make a list of what you find important in an agent. Perhaps you want them to represent different genres because that’s what you write in. Or perhaps you want them to be part of a small, hands-on literary agency, instead of a larger one. It could be that you want a literary agent who has a large number of followers on Twitter, or an agent with a lot of clients. There’s no right or wrong here, it’s very personal. Secondly, make a list of agents who represent your genre. Keep in mind your personal desires and those you are excited about you can put an exclamation mark next to, or a smiley face. You can decide to query those first or save them for later. No matter what genre you write in, make sure you know of a couple of similar books. Bonus points if you can mention them in your query letter and how your novel stands out from them. What I did as well was look up the literary agents of novels I loved in order to query those agents. Sometimes you find agents that you wouldn’t have found otherwise, despite the magic of Google. A good website that can help you is Query Tracker and of course The Writers’ and Artists’ Yearbook. Don’t just go for any agent, but make sure you know what you want. It will still be a gamble, but at least you can be sure that you’ve done your best in finding a potentially good agent for you. 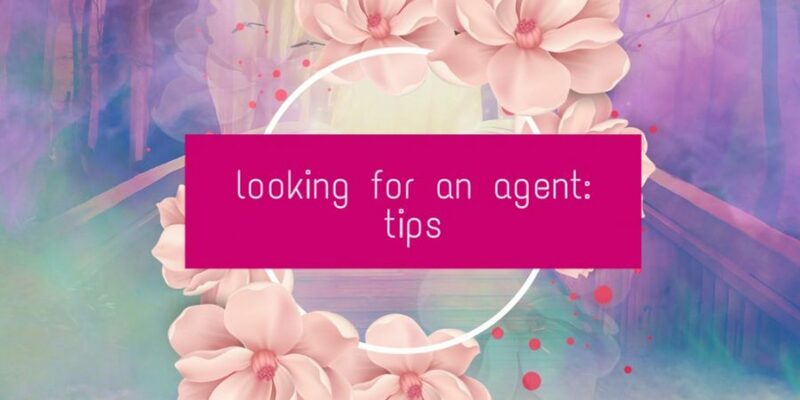 If you have doubts about an agent, you could always reach out to one of their authors on Twitter and ask if they’re happy with that agent and mention you’re thinking of subbing to them. Most of the agents, however, will share on their website what kind of agent they are and what they’ll do for you. How do you go about your search? What do you look for? Please share and have a virtual cup of tea by the fire.